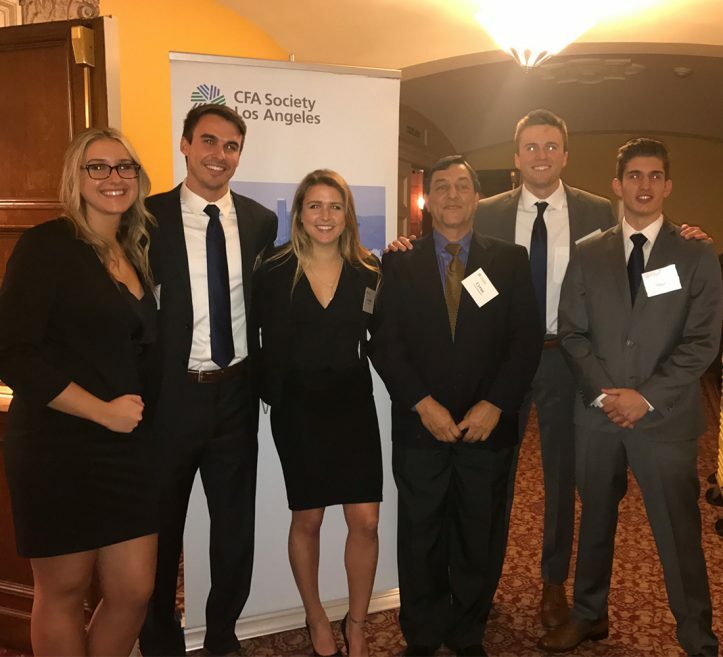 A team of Cal Poly business and economics students took second place in the local Chartered Financial Analyst (CFA) Institute Research Challenge in Los Angeles. Cal Poly students competed against teams from USC, Loyola Marymount University, Pepperdine University and Claremont McKenna College on March 3. The teams had to create a valuation report and make investment recommendations on retailer Bed Bath & Beyond. A panel of industry professionals and CFA charter holders judged the presentations. Cal Poly’s team lost to USC by half a point in the final round. Cal Poly teams have won the past three local CFA Institute Research Challenge competitions. This year’s team included economics student Brandon Becker (Las Vegas, Nev.); and finance students: Dario Buechi (Berkley, Calif.); Jessica Kramer (Westlake Village, Calif.); Jordan Smith (Palo Alto, Calif.); and Greg Benedikt (Bend. Ore.). Finance Professor Cyrus Ramezani, who also serves as interim Agribusiness Department chair, advised the students. Scott B. Kirk, a 2005 business administration alumnus and partner at City Capital Management, acted as an industry mentor to the students. The CFA Institute Research Challenge provides an opportunity for students to learn from industry experts and compete with other top finance programs. The event promotes best practices in equity research among the next generation of analysts through hands-on mentoring and intensive training in company analysis and presentation skills. Participants are introduced to and held to the standard of the CFA Institute Code of Ethics and Standards of Professional Conduct. For more information about the CFA Institute Research Challenge, visit: https://www.cfainstitute.org/community/challenge/Pages/index.aspx.